Choosing the right carpet for your home is a big deal. Wall to wall carpets are an investment, raising the value of the house, adding a very present feature that will accompany your family for many years to come. It needs to match the style, furniture, structure and general atmosphere of the house. The right carpet can make a house into a true home, adding warmth and a safe environment for your children to play in. The wrong carpet can lead to visual disarray and a big waste of money. We have gathered some tips for you so your decision can be more informed and suited to your own real needs. – The Fiber: Choosing which fiber will constitute your wall to wall carpet is probably the most important factor to consider. It will set the quality and price of the whole process. – Consider your budget: how much money do your really have to spend on the process? we suggest that you will be straightforward with your installation consultant and ask him to best suit your proposed budget. – Look: try to match, with the help of your consultant, the colors, texture, patterns and overall look to the rest of your home. 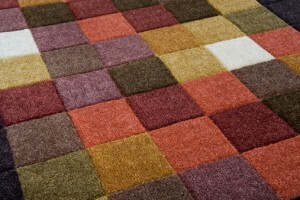 Remember that wall to wall carpet is indeed wall to wall, which means that it becomes a major part of your home decor. Minimalism is recommended. – Expected traffic: where will the carpet be laid down? living room, pool side? Is the house full of day to day traffic? the durability of the carpet material is crucial when thinking about future wear and tear. – Who is in the house: Children, pets, young parting crowd? If so, it should be taken into consideration when talking about the fiber and preventive carpet protection (scougard and the likes of it). Remember to check a variety of options before making a choice and consult with the professionals who can offer you the benefits of their experience.